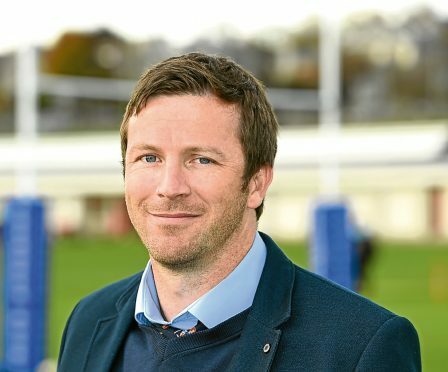 Aberdeen Grammar head coach Ali O’Connor said his players will have no excuses if they do not improve on their “horrific” result against Cartha Queen’s Park. The Rubislaw side slipped up on home soil against the team second-bottom of National 1, handing them only their second win of the season and dropping Grammar to five defeats from their last six games. Player availability issues have not helped O’Connor’s cause, with seven players missing last weekend’s game. Ross Anderson’s wedding accounted for a number of those absentees, with the likes of Robin Cessford and Tom Aplin returning to this week’s squad. However, O’Connor will have to do without the injured Sean Mills, who went off against Cartha, Murray Mitchell and Matthias Schosser as they are still on international duty. They head to Dundee tomorrow for a noon kick-off, with O’Connor demanding a response. He said: “All the guys who were at the wedding last week are back and we’re almost at full-strength. If we don’t put in a performance, we’ve got no excuses. The last few weeks it’s been difficult and it was a pretty horrific result last week. “We’ve talked about having stronger depth this year but we were missing seven last week that would have been in the first 15. While the players coming in are good players, it’s continuity and the relationship that you build up. Everyone is playing slightly different positions to accommodate and the chemistry isn’t there. Mitchell is representing Scotland at the Rugby League European Championships and they have tasted defeats in their first two games against Ireland and Wales. Their final game is against France tomorrow. Schosser, who was born in Germany but brought up in New Zealand, has been on a training camp with the German national squad ahead of their repechage qualifiers for the Rugby Union World Cup next year. Their first game is against Hong Kong on Sunday.